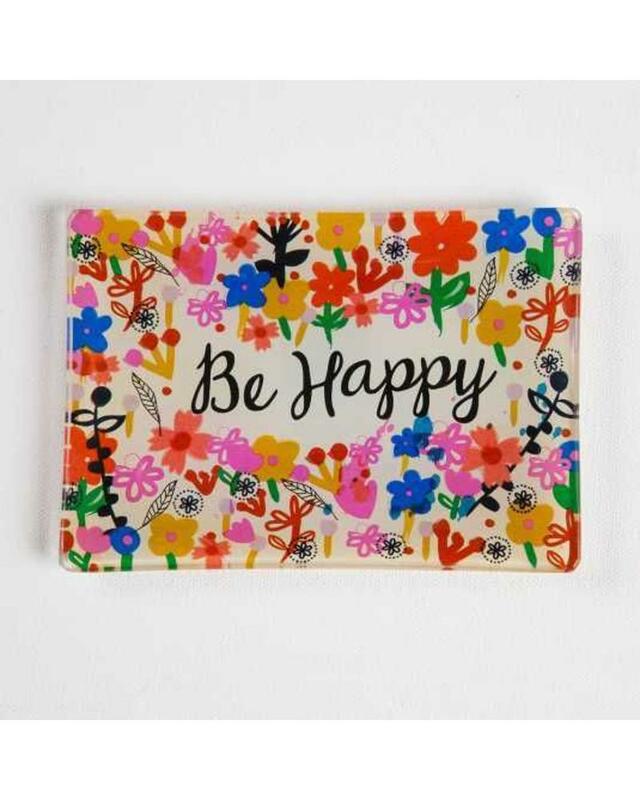 Full-color glass tray with "Be Happy" sentiment with a floral border. 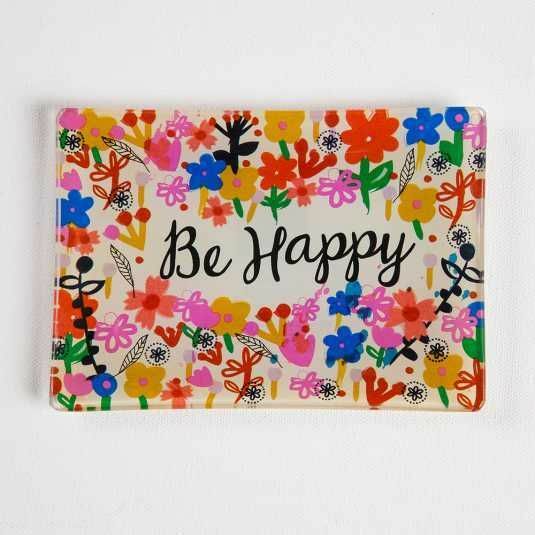 Perfect for holding jewelry, coins and other small trinkets! Not for food use.